Jeremie and I had an opportunity to attending the announcement event for Beakerhead! Aiming to be a fusion of science, engineering and creativity (a video presentation called to mind the kind of wacky robotic contraptions you see at Burning Man), Beakerhead is the brainchild of co-founders Jay Ingram, best known for his work with the Discovery Channel, and his partner Mary Anne Moser. Collaborating organizations at this point include the U of C’s Schulich School of Engineering, Mount Royal University,SAIT Poytechnic, Telus Spark, the Glenbow Museum and local arts groups such as the High Performance Rodeo, the Calgary Animated Objects Society and the Green Fools. Check out http://www.beakerhead.org/ for more info! 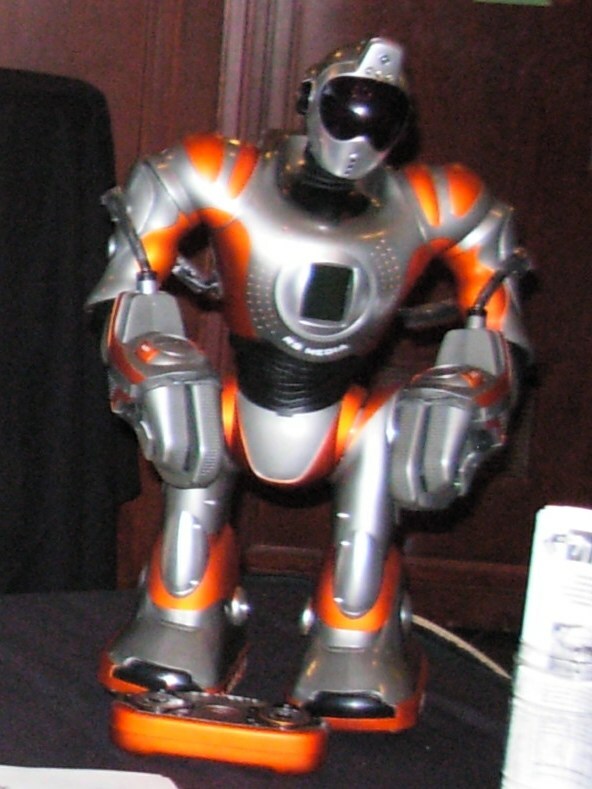 This entry was posted in Culture of Robots, Future Fantastic, Local Robotics on November 25, 2011 by Brutus. I have been teaching introductory programming for the Arduino to a weekly class the past few weeks. I missed collecting the email contact information for some of the people who joined the class in the last couple of weeks. In the hope that they read these postings, I am publishing a notice here. Here is a small homework reading assignment for the WCRS programming class attendees. Read the Software Development Methodology article (http://en.wikipedia.org/wiki/Software_development_methodology) on wikipedia, at least up to the start of “Subtopics”. From those methodology descriptions, decide which of methodologies are being used for projects by people at WCRS. Why did you pick that / those methodologies? Which ones seem like they would fit? Again, why? To be discussed in class. 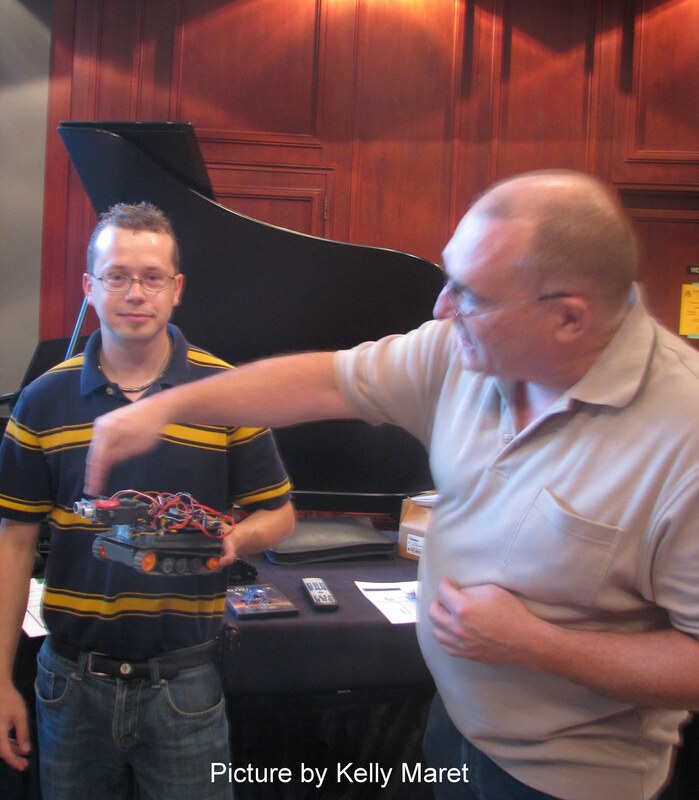 This entry was posted in Arduino, Local Robotics, WCRS and tagged Arduino, Programming on July 10, 2011 by Phil Duby. We are happy to announce that mini-competition are back. We are beginning with these 2 first event that are very popular at the robot games. Completions will happen on Saturday Mornings, at the Aerospace museum of Calgary. August 28 – Mini-Sumo: beginner to master. September25- Full size sumo – autonomous and remote controlled. Other competitions will be Announced and schedule later for October and so on. 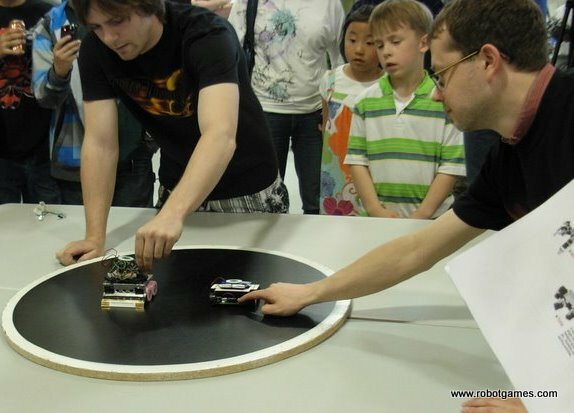 Mini competitions are the perfect opportunity to get started in robotic competition. So you can test your robot and settings to improve your level for the annual Robot Games. 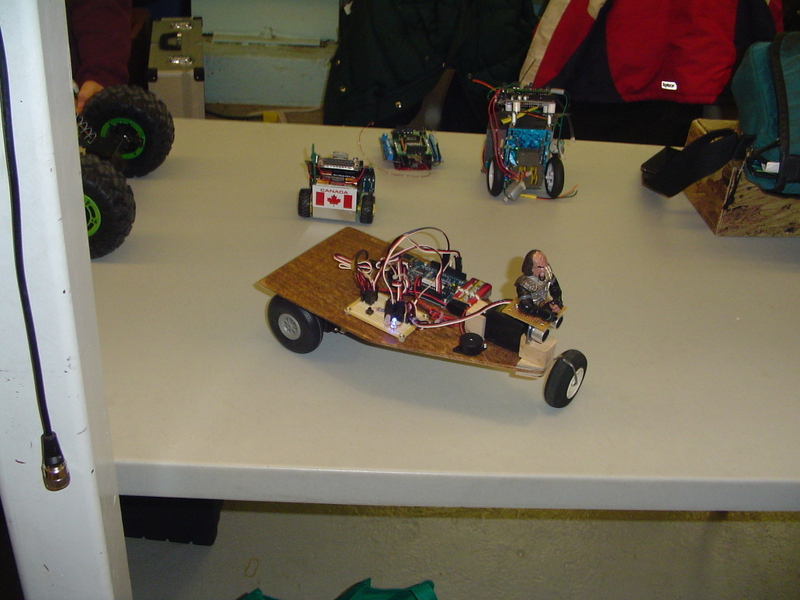 This entry was posted in Local Robotics, WCRS on July 25, 2010 by Dave Lévesque. I got this email recently, and I thought I would share it verbatim, as I don’t think I could capture his passion. In recognition of the 20th anniversary of BEAM, I will be announcing a new contest that will be sponsored in part by G-Prime. No spoilers yet, however. Read below and get tinkering though – news forthcoming! Thank you for your reply. Sorry I haven’t been able to get back to you quickly, work has been taking up all my time lately. Anyway I thought I’d send you a few pictures of some bots I built with recycled materials and components. The first bot I ever built probably has the most recycled parts on it probably because I was a student at the time :). You can check out some pics on flickr and post them on your blog if you’d like. You can also check out some of my youtube vids as well, if you want to see my Rocket pummer and Shadow guide robot in action (2 separate videos) . Recently my colleague and friend, Chris, has started up a not-for-profit group (called United Greenworks) that recycles old consumer electronics and other materials. The main goal of the group is to reduce the amount of re-usable electronic/mechanical components & other building materials that are filling up our landfills or that are going to foreign countries as e-waste. The group has been very successful in Grande Prairie on a small scale thus far and as a result Chris (who is also a robot builder) and I (and others) have been salvaging an abundance of very useful motors, chips, solenoids, wires, connectors, sensors, power supplies and switches out of old PC’s, printers, audio equipment, and Photocopiers. Photocopiers are the holy grail for us robot guys, just one has everything you need to make a bunch of bots for years to come. We have 6 photocopiers coming to us and it seems like just the beginning. Chris and I are both passionate about the environment, electronics, and building robots and would love to show people and share with people how to reuse old electronics for new projects such as robotics. We would also like to share some of the free parts we are accumulating with other robot enthusiasts. I myself am a big fan of BEAM bots and the whole junkbot/solar concept and would love to see a category at the Western Canadian Robot Games that incorporated this area of robotics. Thank you very much for your time and consideration Mark! Oh and thanks for the Sparkfun Freeday post, it’s nice to see others frequent that blog, Chris and I aren’t the only ones. 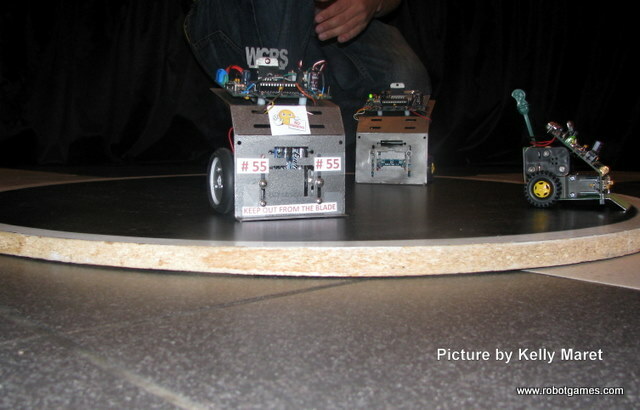 This entry was posted in Culture of Robots, Local Robotics on November 27, 2009 by Brutus.